ONO FEST – Featuring Big Sean, Cherub, Big Gigantic and More! PAC, UC Programs & Activities Council, presents the ONO Fest 2015 featuring the likes of Big Sean, Cherub and Big Gigantic. The event is set to go down at the Fifth Third Arena, a 13,176-seat multipurpose arena located right in the heart of the Clifton campus on the 18th of April. This event organized by PAC has been made relatively affordable for UC students and faculty members who can purchase tickets via http://onenightonlyfest.com/tickets.html using their M- numbers and get tickets for as low as $12 and a $1.50 immediate delivery fee which also includes tax. Born in California but raised in Detroit, rapper Big Sean made big news in 2007 when he signed with Kanye West’s then-recently formed label, G.O.O.D. Music. West helped set up his debut mix tape, Finally Famous Vol. 1, released in 2007. A second volume arrived in 2009 with a third following in 2010. A year later he would issue his official debut, Finally Famous: The Album, featuring the single “My Last” with special guest Chris Brown. The album debuted at number three on the Billboard 200 chart. Hall of Fame followed in 2013 with Lil Wayne, Nicki Minaj, Nas, and Miguel all on the guest list. Big Sean’s third full-length album was released February 24th and it features the #1 single “I Don’t F**k With You” as well as an All-Star cast of guest appearances including Kanye West, Drake, Chris Brown, Jhene Aiko, and more. 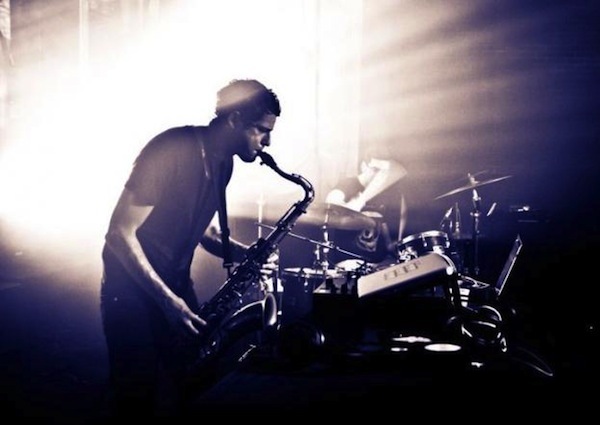 Consisting of drummer Jeremy Salken and saxophonist and producer Dominic Lalli, Big Gigantic is a “jamtronica” act based in Boulder, Colorado. Armed with muscular beats and basslines and loads of screeching and squealing synthesizer lines, they quickly connected with the festival circuit. Salken and Lalli performed at Bonnaroo, Coachella, Lollapalooza, and Ultra Music Festival, among other events. They have performed with some of the biggest names in electronic music, including Skrillex, Bassnectar, and Diplo. From 2009 through 2012, the duo released three albums — Fire It Up, A Place Behind the Moon, and Nocturnal — on their own. The gradual development of their boisterous sound continued on the 2014 release The Night Is Young, another party-ready amalgamation of EDM, contemporary rap production, and pop. Inspired by ’80s post-disco, synth pop, and funk, Cherub is an irreverent and fun-loving duo based in Nashville, Tennessee that consists of Jason Huber and Jordan Kelley. The two met while studying music production at Middle Tennessee State and built up a fan base by making their releases payment-optional, as well as through word of mouth and live performances, including appearances at Lollapalooza, the South by Southwest, and Bonnaroo festivals. Their releases include the EP Man of the Hour (2011), the album MoM & DaD (2012), the EP 100 Bottles (2013), the album Year of the Caprese (2014), and their latest EP Leftovers (2014).